Car insurance (more generally known as motor insurance) is a legal necessity if you wish to own a car. The law is simple: if you drive a car, it must be insured. Clearly, however, there are a vast number of different types of insurance, each with their own quote to match. 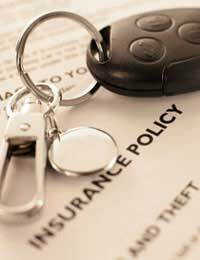 As a result, it is important to have a good grasp of the basics of car and motor insurance in order to make sure that you are getting the right deal. In the first instance, it is important to understand the distinctions between the various types of insurance. The most basic of these types is Third Party cover. This is the absolute minimum cover that is offered by insurers, as it is the minimum allowed by law. As suggested by the name, Third Party cover will insure the policy holder against the cost of damage caused to another individual’s vehicle, or of compensation paid to another driver or pedestrian. It does not in any way cover the cost of any damage to the policy holder’s own car, unless they have chosen to add Fire and Theft cover. The alternative to Third Party cover is a comprehensive policy. While Third Party policies cover only damage sustained by the other individual involved, comprehensive policies will pay out to cover damage to the policy holder’s vehicle and personal injury compensation, as well as all of the elements that would be covered by a Third Party policy. There are circumstances in which a comprehensive policy is a necessity. If, for example, you have bought a car through a credit agreement, the likelihood is that you would have to continue to make payments to your lender even if the car was written of or damaged. As such, it is important that you protect yourself against the possibility of making future payments against a non-existent car. There are other instances, however, in which taking out a comprehensive policy is simply pointless, even if you can afford it. It is perfectly possible, for example, for your annual premium to exceed the value of the car. If this is the case, then comprehensive insurance is almost certainly not for you. It is also important to understand how the no claims discount works. A good no claims discount can reduce your premiums by up to around 70%; most insurers offer a 30% discount for a single year’s no claims, rising to 65-70% after around five years. However, protecting your no claims discount can be difficult. Primarily, it should be remembered that you will not necessarily lose your discount if you make a claim. However, you will be penalised if you make a claim and the cost cannot be fully recouped by your insurer. This means that you are likely to lose your discount if you claim for an accident that was not your fault but which involved no-one else, as the costs cannot be recovered. It is important that you speak to your insurer before making a claim in these circumstances. Finally, it should also be noted that some insurers now offer an opportunity to protect your discount in exchange for slightly higher premiums. You should bear in mind, however, that while you may still qualify for a discount, your premium is still likely to rise year on year. HMRC Says I Have Underpaid My Tax: What Do I Do? Father Died With No Will: Is Estate Split Between Offspring? How can I Close Our Joint Account? Would I Have to Pay Tax on My Savings? Beating the VAT Rise: What is Exempt? Is it Too Late to Pick Up a Recession Property Bargain? PPI: What Does the Recent Ruling Mean for Me? What Should I Look for in a Broadband Provider? Work Exchange Sites: Too Good to Be True? Could Switching Utility Providers Save You Money? Do I Need Property Management? Which Home Mortgage Should I Choose? How Much Tax do I Have to Pay? Why Do I Need Insurance? What Can an ISA do for Me? Is Car Equity Release Useful or Dangerous? What is a Group Personal Pension? What is a Stakeholder Pension? What is SERPS and What Was 'Contracting Out' ? Payment Protection Insurance: Were You Unfairly Charged? Questionnaire: Should I Make My Employees Redundant? Will I Be Entitled to Redundancy Pay and How Much? What is IR35 and How Does it Affect Me? How Can I Get a Loan During the Credit Crunch? What Does Bank Nationalisation Mean for me? What has Caused the Credit Crunch? Where is my Money Safe? Re: How Much Tax do I Have to Pay? I earned £924 for working 99 hours last month yet between tax and national insurance Im just bringing home £690 is this right? Re: What is a Stakeholder Pension? Re: What is SERPS and What Was 'Contracting Out' ? Hi, I have turned 50 now and are being made redundant, i havent claimed for over 32 years. What will i be entitled to now?